I released English and Traditional Chinese Version v15j kernel. Firefox v13 nightly build works fine on it. iphlpaxp.dll fixed the referenced nullpointer asignment is renamed XP SP3 's iphlpapi.dll. By the way, how about SetSHF.exe and _kernel32.dll? What's their role? Thanks blackwingcat. Another program this fixes is Office 2007 compatibility pack for Office 2003. The latest Service Pack 3 when installed on Win 2000 hoses it and there’s no way to make it work again. Microsoft could care less, they probably did it on purpose. I checked everything, went into the registry and tried every key I could find and the only way to get it working right was to uninstall the whole Office 2003 program then reinstall it, including all the patches, a real pain. But with kernelex SP3 is no problem now. I even went to Microsoft Update and got the latest patches for it. So if this did nothing else but keep Office going it would give my W2k box a few more years of life since I use Office almost everyday. _kernel32.dll is dust file and is not installed. I made mistake when I create the package. SetSHF.exe sets rgistry for SHFolder my picture and my video and etc. You set the kernel incompatible with IE5, right? Is it because of shlwapi.dll? Why not use xpsp2_binarydrop and keep the compatibility? If you use IE5 environment, the setup block the installer. I can't check IE5 environment. Just tested 15j and everything works good so far. The only snag I had was Outpost firewall had a problem with the old rules but it's fine after creating new ones from scratch, so I can live with that. It's just nice to have the latest Firefox and Flash up and running and Office too. Hope it works the same for everyone else. One question blackwingcat: is is it difficult or time consuming to add new dependencies? I'm getting an error for Thunderbird 13 nightly "The procedure entry point SHSetUnreadMailCountW could not be located in the dynamic library shell32.dll". It would be wonderful to get all of these programs going but I know that's not possible. If I had the time I'd go through it and help out with the project. 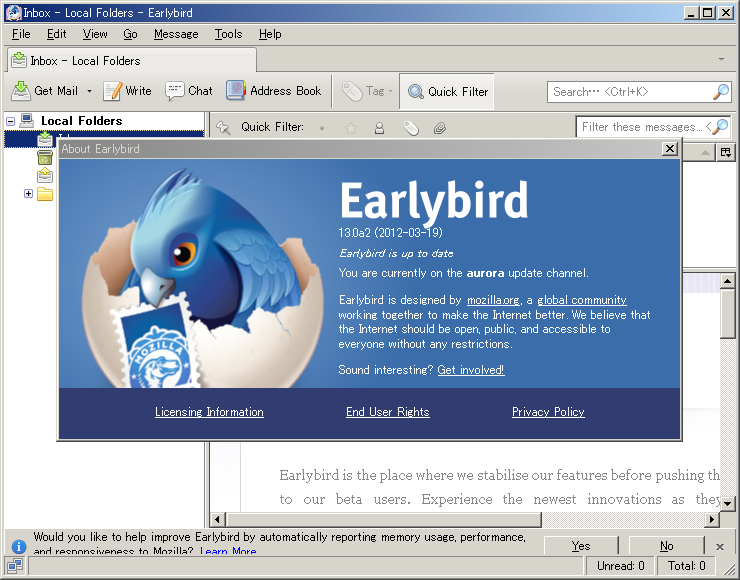 v16 supports also earybird 13a2. It works completely AES support. And Google Chrome Native Client and Sync function works well ! I wish that BlackWingCat and WildBill were able to work together to improve and extend each other's kernel rather than have "competing" products with no defined functional difference as I currently understand it. I realize that language and distance makes it difficult to work together on a single project, but it seems that could be an idealized goal. The work of tomasz86 seems to be a great "proving ground" to find incompatibilities between the two. 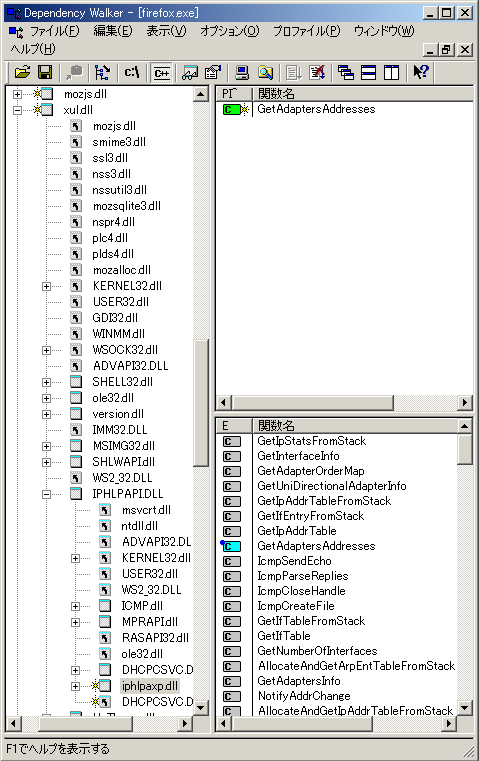 Now I found shell32.dll in KB2479628. But it includes user32.dll which expand functions. I think there is more important problem in deference of user32. Kernelex v15m is released (3 languages version). shell32.dll is fixed for compatibility for WildBill's win32k patch.